In London on October 2 2014, I wrote on the response necessary to eradicate Ebola and restore Sierra Leone to full economic health. Published the article on HuffingtonPost UK as ICG Country Director and LSEs Africa at LSE blog. The Ebola outbreak in West Africa has exposed deep pre-existing fault lines in Sierra Leone. 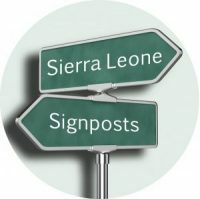 The donor pledges being made by the international community in London this week at a DFID-sponsored conference, will only help Sierra Leone respond effectively to the crisis and rebuild a more resilient post-Ebola nation if it understands and addresses these fissures. Solutions and remedial action must go beyond simply repairing the weak health care system. A robust economic package must be delivered in parallel with an undertaking from the Sierra Leone Government for major internal policy reforms.